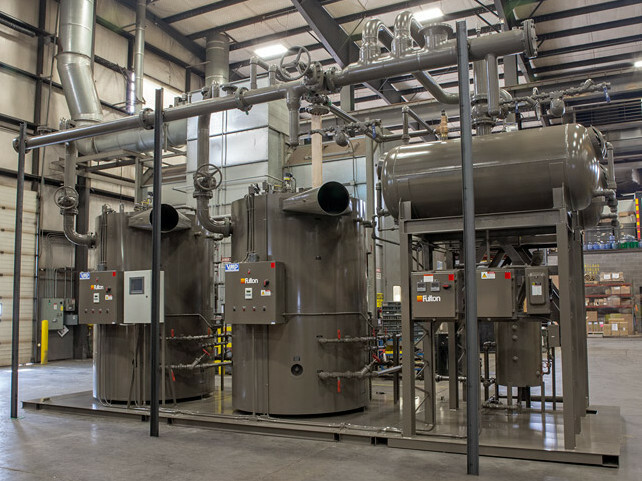 Vertical Multi-Port Steam Boiler – Fulton Boiler Works, Inc. Many steam boilers are examples of high pressure boilers. When steam builds up in sufficient quantities in an enclosure, it becomes pressurized. If enough steam builds up, the energy released by the controlled release of that pressure can be used to power moving parts in a machine. One of the most recognizable examples of this process is the steam engine. The first steam-operated machines appeared close to 200 years ago, and the extent and nature of their use only expands as time goes on. Steam engines were an important part of the expansion of industry during the Industrial Revolution, and today they are involved in the generation of almost all of the electricity consumed worldwide. The term “steam boiler” is usually used in specific reference to heat generation equipment, but it technically could be applied to any equipment that heats water and harnesses the steam for some purpose. Classic™ Steam Boiler System – Fulton Boiler Works, Inc. 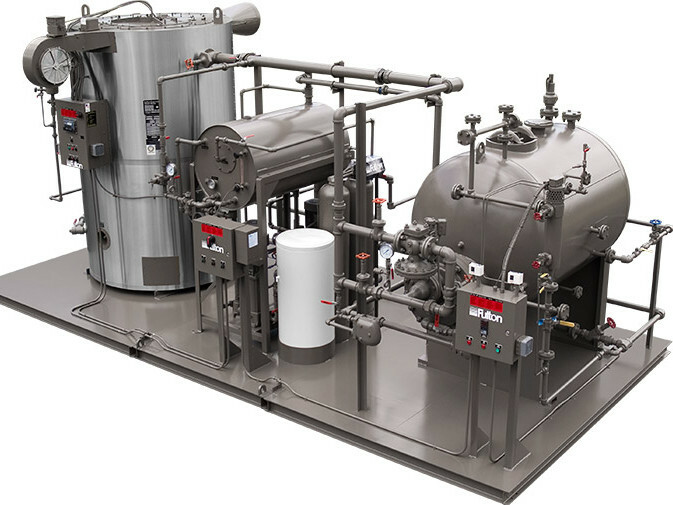 Steam boilers, when considered only within the context of heat generation for use in buildings as in industrial processes, involve a few components. Though they vary widely in terms of size and shape, every steam boiler features a pressure vessel in which the steam is housed before it is distributed, a heat source and a valve that releases the steam to the appropriate outlet system. Pressure vessels are usually steel tanks that are built to house materials at very high pressure while maintaining their structural integrity. They can be designed in many different shapes and sizes. Historically, poor vessel construction was the cause for many boiler failures. Because they were used to contain steam at very high pressures, early boiler vessel failures cold be catastrophic. Today, their construction is strictly regulated by the ASME. Heat generation sources range from coal, natural gas and other fossil fuels to wood and electric heating elements. Each method has its own advantages and drawbacks and ranges in terms of efficiency, environmental friendliness and expense. Steam boiler valves are very important as they are used to direct pressurized steam and to release it during emergencies (this prevents explosions). Boiler systems should always be carefully chosen based on these considerations; an appropriate configuration for one application may not be a good fit for another. Steam Boilers Steam boilers are vessels in which steam is produced and captured for use as a heat source in homes and businesses; it is also used as an energy source in industrial processes. The steam generated in a steam boiler can be used to heat a room, or it can be harnessed by machinery.